Skye Gravestones | Dorothy (Macdonald) Macaskill. 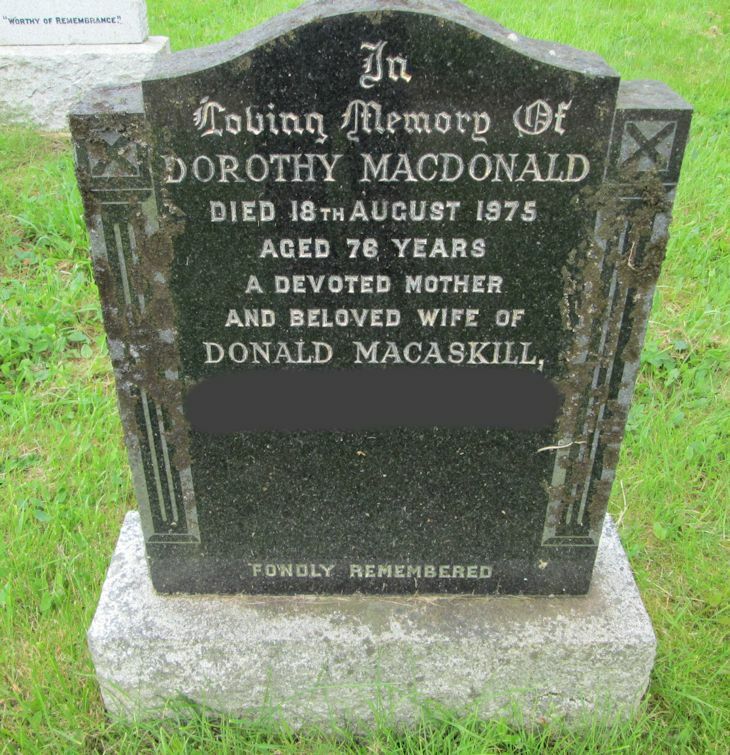 In/loving memory of/DOROTHY MACDONALD/died 18th August 1975/aged 76 years/a devoted mother/and beloved wife of/DONALD MACASKILL/["recent"]. Picture Added on 18 June 2014.